Photo ID is required for all elections. Saturday from 8:00 a.m. - 3:00 p.m. Welcome to Wayne, Wisconsin. The town of Wayne was originally settled in 1848 and was named after U.S. General Anthony Wayne of the Pennsylvania Battalion who is famous for commanding the forces of Fort Ticonderoga during the American Revolution and founding the "American Lite Corps." (Revolutionary Special Forces). Wayne’s earliest settlers were a combination of German, Irish, Scottish, French, and English settlers. Attracted to the area by the rich soils, resources, and abundant farmland, these early settlers became the founding fathers and mothers of our three hamlet areas: Wayne, Kohlsville, and St. Killian. 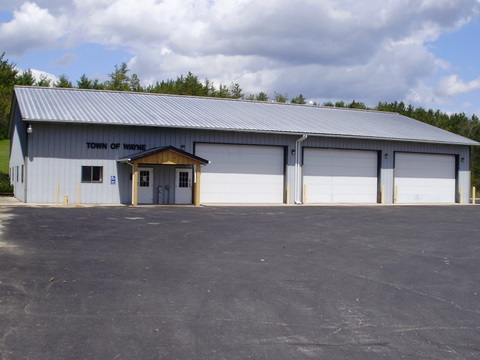 Today Wayne is a beautiful, rural town surrounded by rolling hills, rivers, and many small ponds. Residents enjoy the pleasantries of country life combined with convenient access to the larger communities of Kewaskum and West Bend. The town hall is located at 6030 Mohawk Road, Campbellsport, Wisconsin, 53010. Designed by Integrity Technology Services.